Fresh, delicious liquid pumpkin pie in a can. What better way to start November? Charlotte’s NoDa Brewing Company is the company behind this seasonal pumpkin ale, called Gordgeous. The nose is sweet and bready, the middle bursting with pumpkin, brown sugar and fall spices. In the finish, the spiciness fades and the brown sugar comes back into the fore. The body is medium and the alcohol is a pleasant 6.4% ABV. This is a really nice pumpkin ale on the pie end of the spectrum, if that’s what your taste tends to, and I really love it. This entry was posted in Reviews and tagged Ale, Charlotte, Fall Seasonal, NoDa, North Carolina, Pumpkin Ale on November 4, 2016 by Xander. This summer refresher from NoDa Brewing Company here in Charlotte is a mojito inspired twist on a Belgain Witbier. It pours the expected light golden hue with the traditional massive wheat head. The nose is spicy and clean, with some light wheat flour notes. The middle is where the mojiton influence comes to the fore, with the light wheat base entirely masked by strong mint and lime flavors. The lime lingers into the finish, along with wheat toast and a bit of Belgian sourness. The body is light to medium and the alcohol is a lovely summmer-ey 4.8% ABV. This is a fun beer and could hold its own against beer-based beverages like a Shandy or Radler. A nice summer treat. This entry was posted in Reviews and tagged Ale, Belgian WitBier, Charlotte, NoDa, North Carolina, Witbier on September 13, 2016 by Xander. 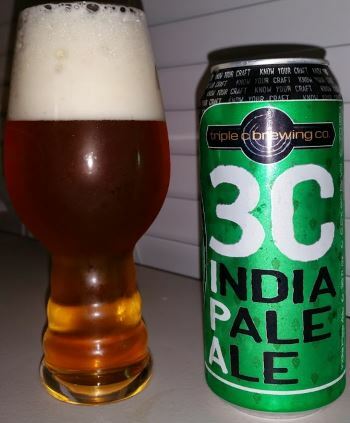 From right here in Charlotte, Triple C Brewing Company is now canning 3C IPA, a traditional American IPA. The nose is packed with citrus and tropical fruit. The middle has lemon, grapefruit, a bit of ginger and then fades to a finish heavy with pine and grapefruit rind. The alcohol level is in the standard range for this style at a comfortable 6.2% ABV, and the body is medium weight. A very nice American IPA, hoppy without being crazy. It’s well balanced and a beautiful example of the style. This entry was posted in Reviews and tagged Ale, American IPA, Charlotte, IPA, North Carolina, Triple C on April 10, 2015 by Xander. CAVU is an aeronautical acronym for the term “clear and unlimited visibility.” In other words, the weather is fine, and smooth sailing is ahead. 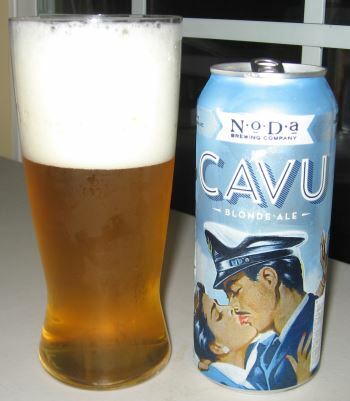 CAVU is a Blonde Ale from Charlotte’s NoDa Brewing Company and the sailing is smooth indeed as this is one of the finest summer lawnmower beers around. The nose has orange and pineapple, and the middle is lemony with some wheat giving it a mild, dry profile. The middle follows into the finish which becomes earthy and adds a hint of pine and grapefruit right at the end. 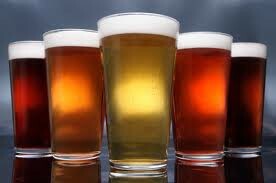 The alcohol is a relatively light 4.6% and the body is light to medium. This is a deliciously balanced beer that isn’t overpowering in any way, and I’ll be enjoying it all summer long. 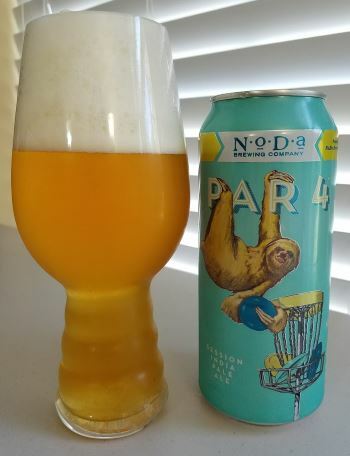 This entry was posted in Reviews and tagged Ale, American Blonde Ale, Blonde Ale, Charlotte, NoDa, NoDa Brewing, North Carolina on July 15, 2014 by Xander. Hop Drop ‘n Roll is an American IPA from the NoDa Brewing Company, right here in Charlotte, North Carolina. 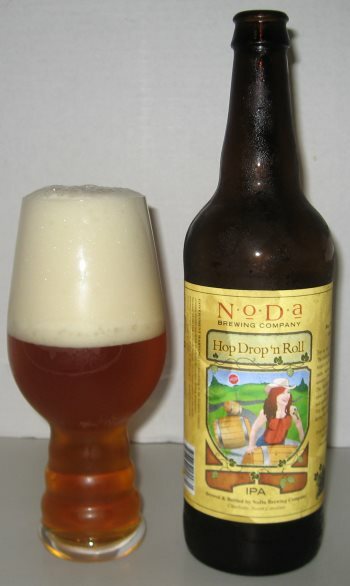 Hop Drop ‘n Roll is actually the beer that got NoDa started, way back in 2011. (I believe, anyway. I couldn’t find a definitive date.) The nose is remarkably heavy with pine. It’s strong enough to bring up scent memories of my childhood in the evergreen forests of the Pacific Northwest. The body is remarkably heavy for a non-Imperial style, and it offers massive flavor, leading with more pine and orange. As you move towards the finish, the texture changes to butter and the first sweet notes come into play with some sugary citrus. There’s a tiny hint of alcohol right at the end, which befits this 7.2% ABV brew. This is definitely a hop-forward concoction, and a masterful one at that. This is a fantastic example of an IPA. 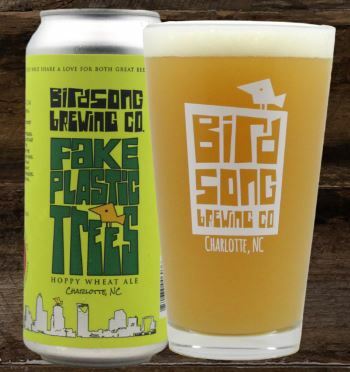 This entry was posted in Reviews and tagged American IPA, Charlotte, IPA, NoDa, NoDa Brewing, North Carolina on October 15, 2013 by Xander.